Around a third of the world’s food is lost or thrown away every year — that’s approximately 1.6 billion tons of food annually, a statistic that’s projected to rise to over 2 billion tons by 2030. 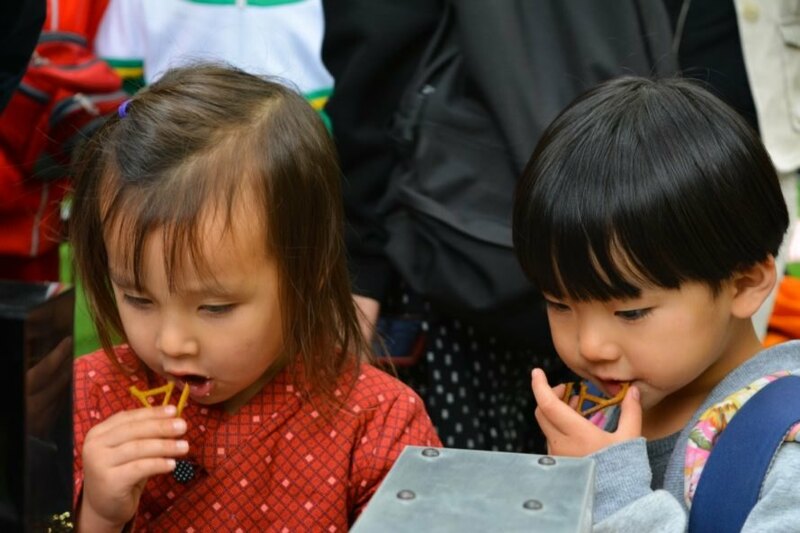 In a bid to fight the global food waste crisis, Eindhoven University of Technology graduate Elzelinde van Doleweerd teamed up with the China-based technology firm 3D Food Company to turn commonly wasted food products in China into beautiful and tasty 3D-printed snacks. 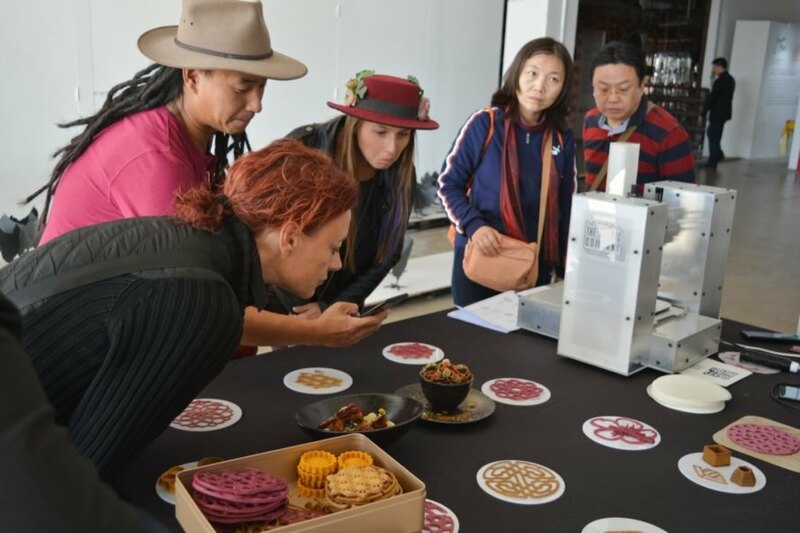 Van Doleweerd recently unveiled her latest 3D-printed recipes in her Upprinting Food exhibition at 2018 Beijing Design Week (BJDW), which ran from Sept. 26 to Oct. 5, 2018. Elzelinde van Doleweerd began studying ways to sustainably upcycle food waste in the Netherlands while studying for her Industrial Design degree at Eindhoven University of Technology. 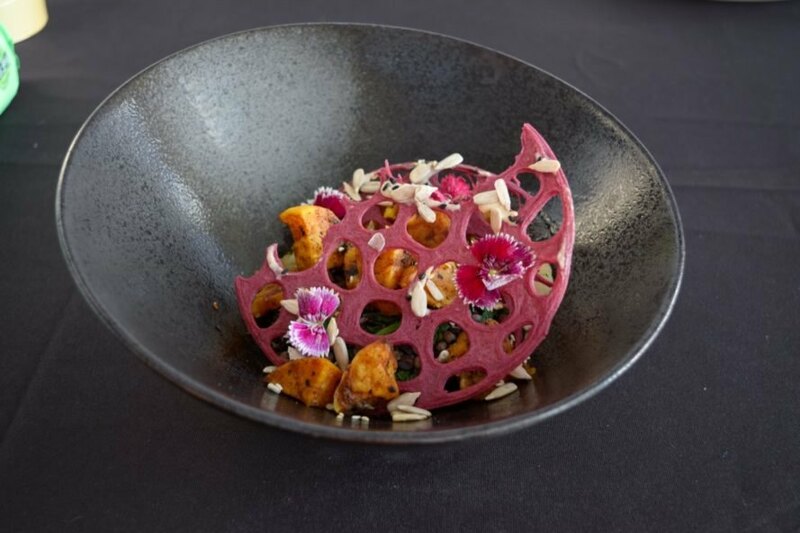 In teaming up with the 3D Food Company founders Leandro Rolon and David Doepel, van Doleweerd developed two new sustainable food concepts that use leftover unspoiled food that was discarded due to excess volume, appearance or undesired texture. Because rice is a staple in China, van Doleweerd decided to base her printable food paste at BJDW off of leftover boiled rice rather than bread, which she would have used in the Netherlands. 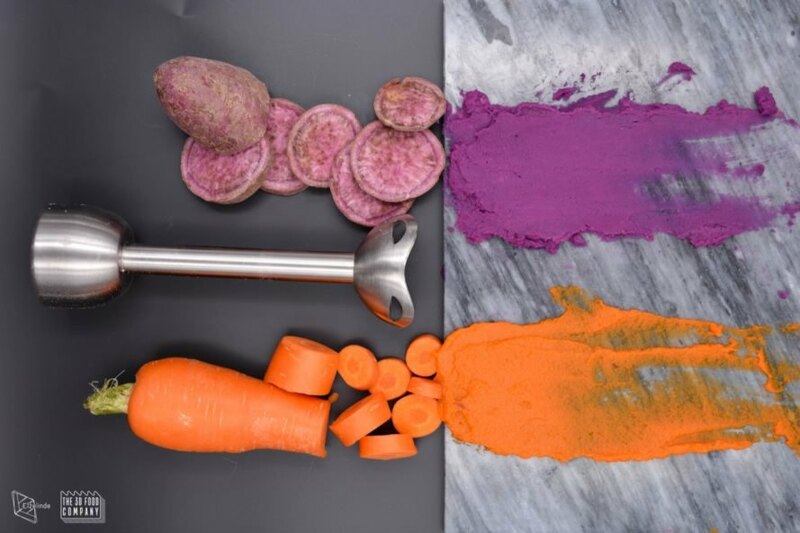 The paste was mixed with wasted fruits and vegetables, such as purple sweet potatoes, to take on vibrant colors. 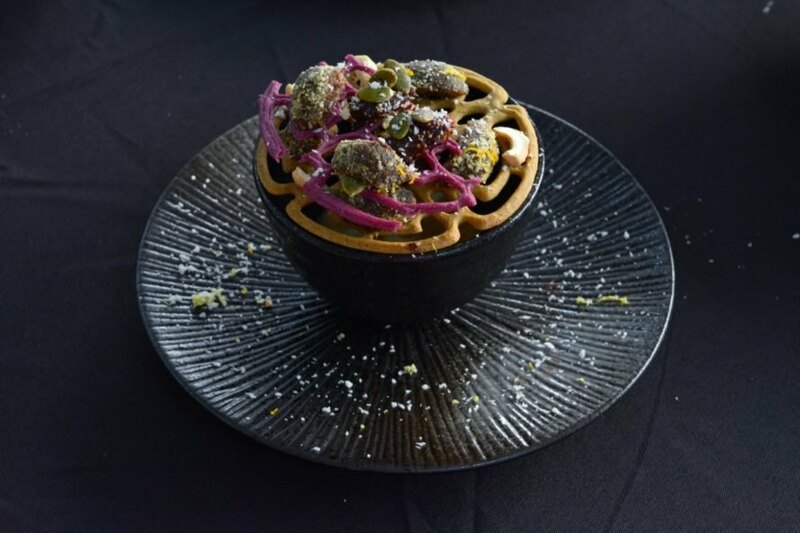 The colored paste is fed into a 3D printer to create 3D ramekin-like containers or flat geometric shapes reminiscent of the ancient Chinese folk art of paper cutting. The 3D-printed paste is baked and completely dehydrated to protect against bacterial activity and to meet food safety standards. Made from over 75 percent food waste, the crunchy baked treats have a cracker-like consistency and can be flavored with different herbs and spices to take on a sweet, savory or spicy flavor profile. 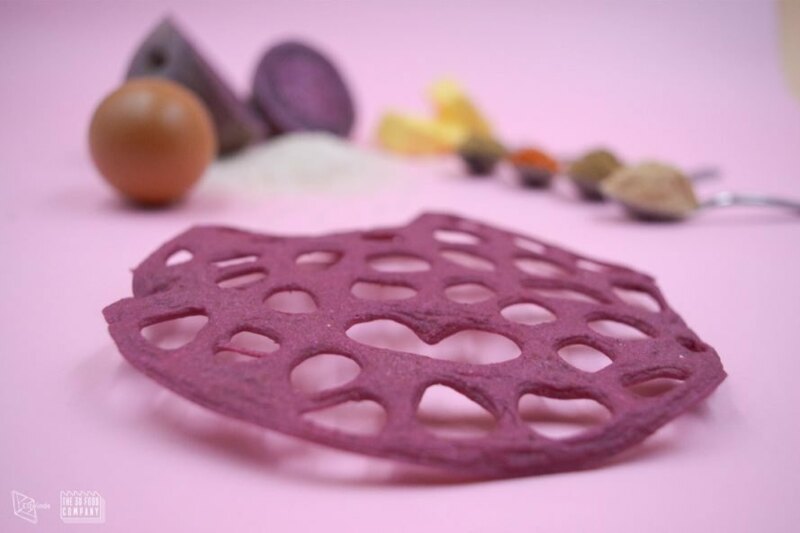 In addition to developing new flavors, van Doleweerd is also in the process of developing a vegan version of her 3D-printed food waste snacks devoid of butter and egg. Elzelinde van Doleweerd is turning food waste into tasty, beautiful snacks. The snacks are made using discarded food. The project utilizes foods that were rejected for appearance, excess product or undesired textures. The snacks are made with staples like rice and bread as well as veggies such as purple sweet potatoes. Thanks to varying herbs and spices, each snack can take on a different flavor profile. The results are intricate and beautiful. The food also undergoes thorough baking and dehydrating processes for safety. The snacks are made from over 75 percent food waste.